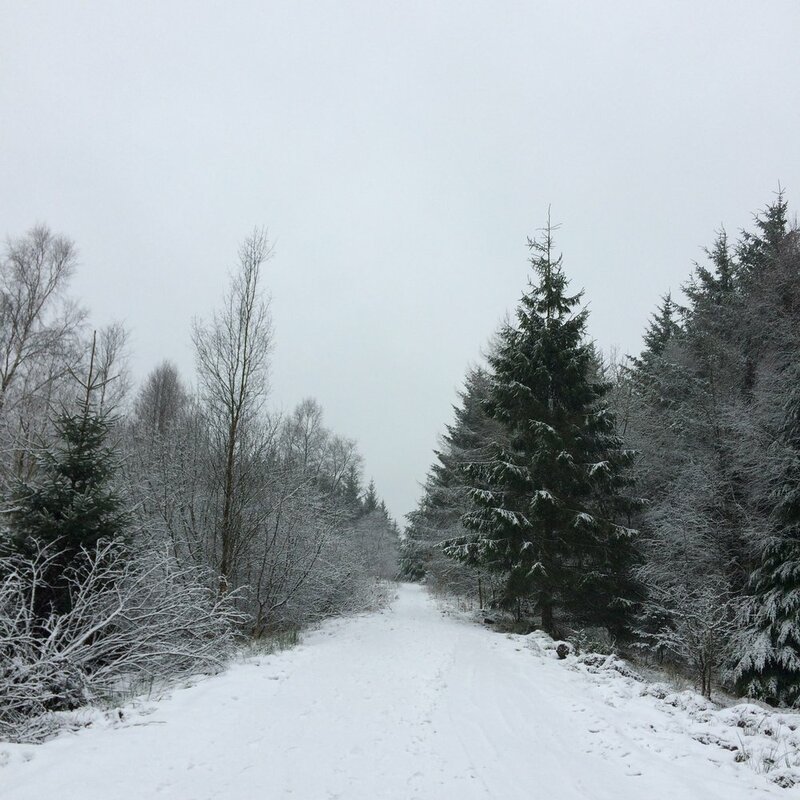 A walk in the Gisburn Forest in the snow...what could be more beautiful. I woke up in the morning to a white landscape, it was impossible to see where the sky touched the land and the forest had disappeared completely into a powdery mist. Holly and I went to explore the forest alone as we left behind the rest of the family building an igloo in the garden. 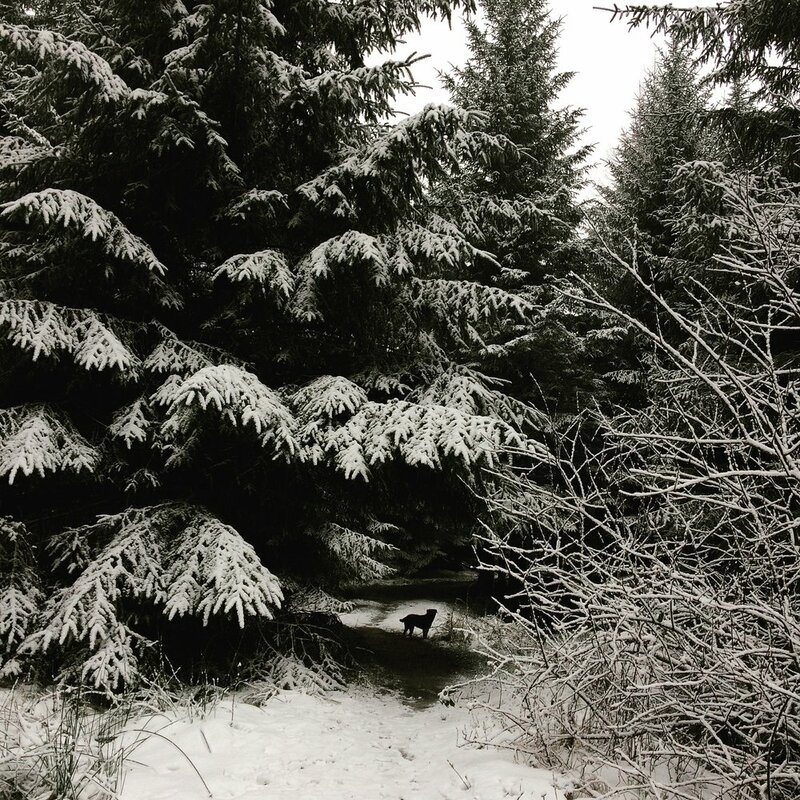 The quiet was like a soft blanket surrounding us and the only sounds were our footsteps in the snow. Something caught my eye and two deer darted through the trees and I instinctively grabbed Holly in case she had seen them too and decided to make chase. I heard another call out somewhere deep in the trees and then it was quiet again. 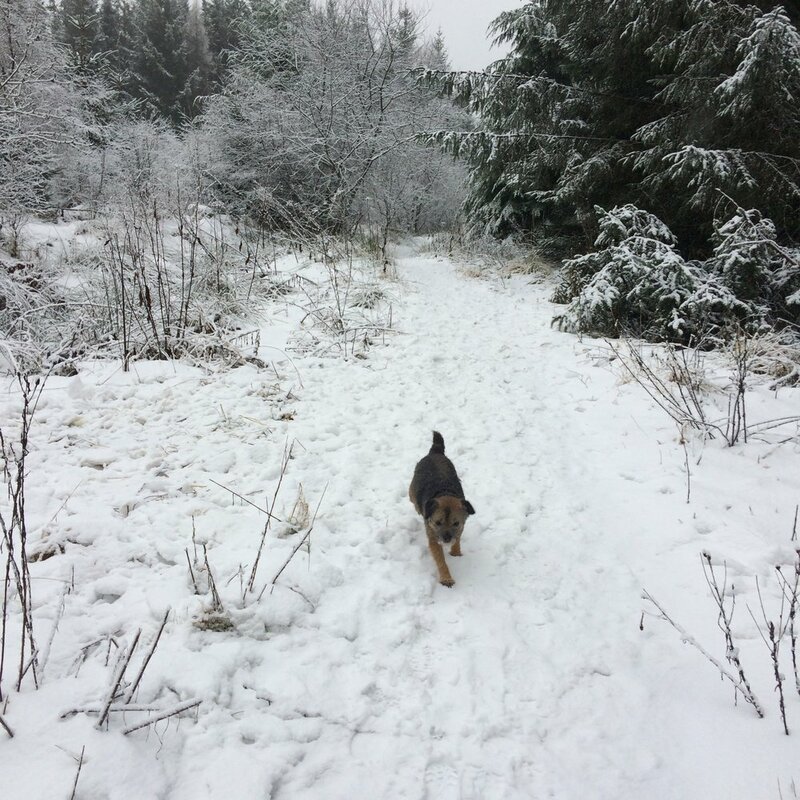 We moved together along the forest paths until the snow started to fall again. 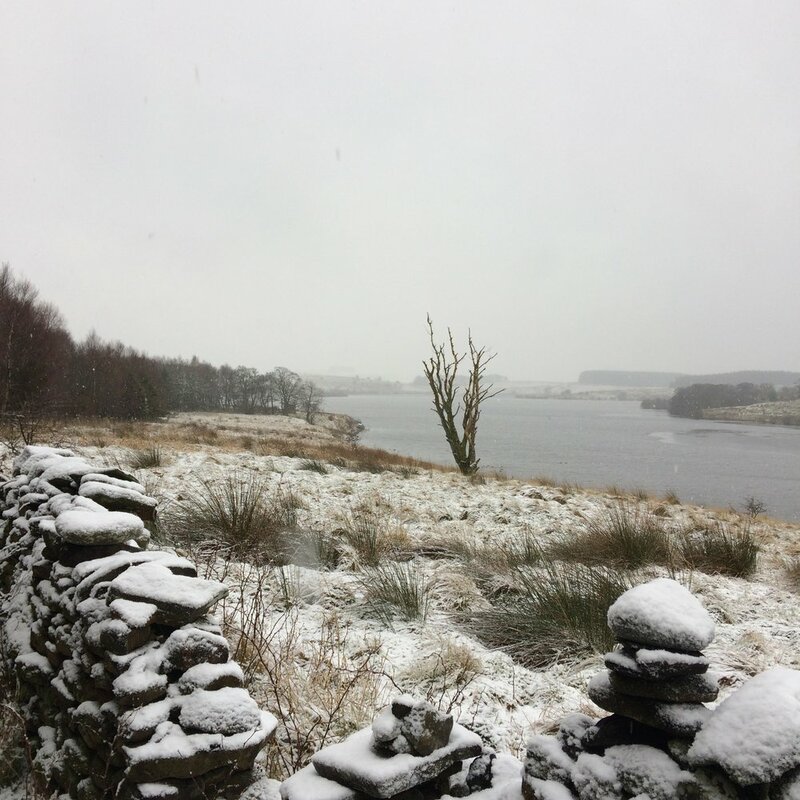 We took a moment to creep into the bird hide and gaze across Stocks reservoir and then it was time to head towards home and a roaring fire.